Burlap 100% Natural Jute Fiber Wrap/Ribbon. Non-wired. 10 yard roll, ribbon is 2 1/2" wide. 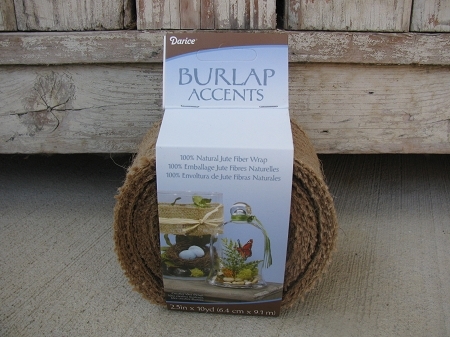 Great for projects around the house to add a touch of burlap to. 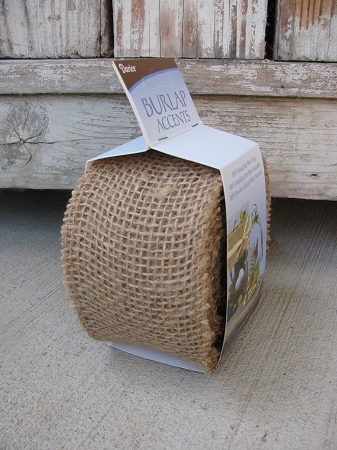 Sewing projects and just a quick browse on Pinterest gives one tons of ideas to use Burlap on. Wreaths, pillows, jars, milk cans, crocks, garbage cans, seasonal and so much more.